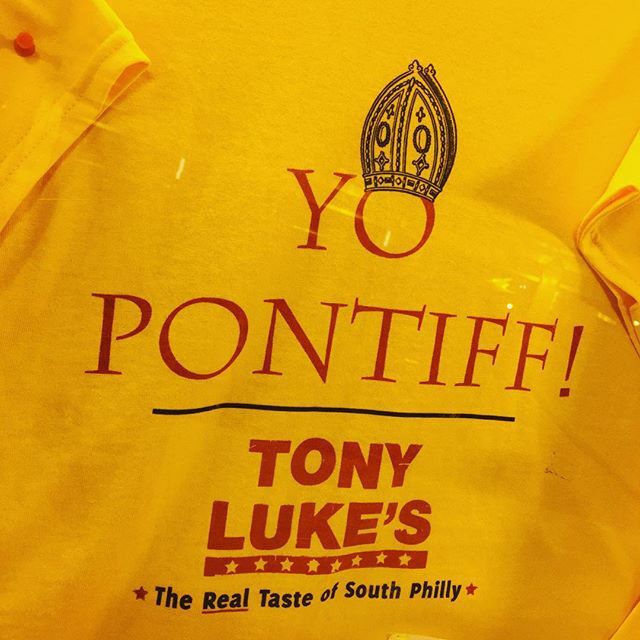 The Pope is coming to Philadelphia September 26 & 27, and the whole city is abuzz with Papal energy. 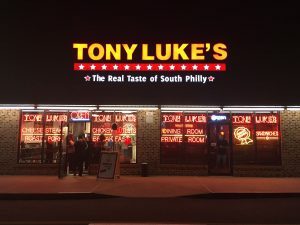 Almost everything in town has turned Pope, from the Popeapotties lining the parkway to #Popeadelphia. 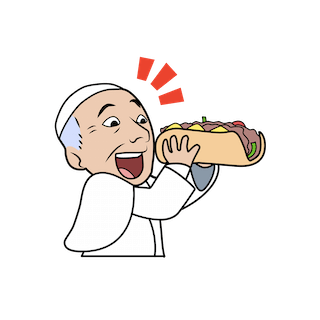 There is even an emoji from SwyftMedia that features the Pope eating a cheesesteak, a Popemoji! 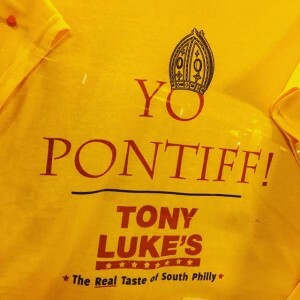 Tony Luke’s in South Philly has a t-shirt featuring a Philadelphian greeting for the Pontiff. 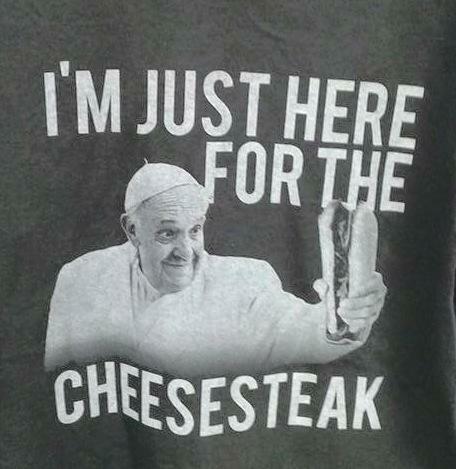 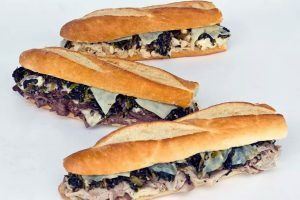 Where will the Pope get a cheesesteak from? 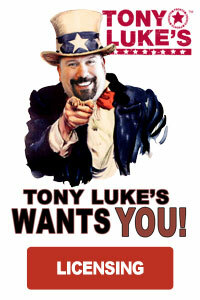 Well, that is still undecided!